Mass popular support will also require finding a way to address the profound divides that continue to cut through US society. I see this possibility as resting on having conversations across many divides – political, racial, and social. The kinds of conversations that have rarely happened; that seek to transcend rather than entrench the polarities; that aim to find the shared human needs and dreams that give rise to such opposing views and experiences. Combining a simple and clear vision with the capacity to engage lovingly with others may be key to the movement’s ability to gain the consistent support of many more people. A third and last element that I would like to see is the capacity to mount multiple forms of actions beyond the current gatherings. With mass popular support and clear goals, what other steps could be taken that may increase the pressure and begin to undermine the sources of support of the existing institutions that the movement seeks to destabilize? Beyond pure protest, what actions could the movement generate that would demonstrate the vision? 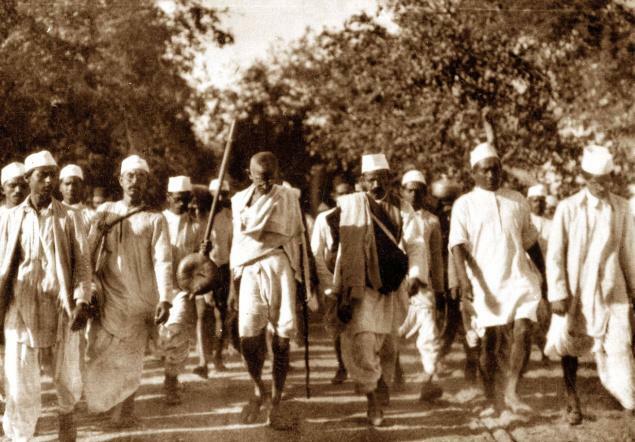 What would be the Salt March of this movement? Before any specific action is contemplated, I want to emphasize that it’s critical that whatever the action, it has to be taken by a sufficiently large number of people so that they’re less vulnerable to possible consequences and repression. What if masses of people took possession of goods produced by corporations and distributed them to those in need? What if large groups of people appropriated structures and buildings so that homeless people, including those created through the recent ongoing foreclosures, would have a place to live? What if a million people stopped paying taxes and invested that money in sustainable technologies or permaculture? 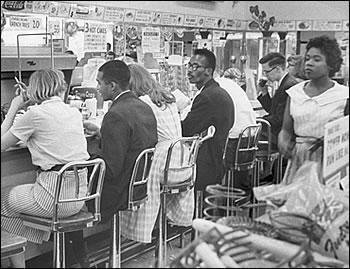 Would such actions be the equivalent of the Salt March or the lunch counters? And what would be today’s equivalent of the spinning? Gandhi insisted that anyone who joined his movement would commit to spinning for 30 minutes a day. What if we all committed to 30 minutes a day of taking action, individually, in groups, and in communities, that would free us from the rule of large institutions in the areas of food, shelter, clothing, health, and education – the most basic of human needs? Can you imagine how much energy a movement could generate if every day masses of people engaged in popular education, grew and made food from scratch, learned again how to make home-based medicines, and supported each other in all these areas? I have more questions than answers, because I am only one person. I hope you join me – in responses to this post, in conversations with others, and in the general assemblies of the various occupations. I too thank you for this post. Already the few strategies you have offered have blown my ideas of "what can I do " wide open. I see that is all it is fear and the illusion of separateness holding back and binding my creativity. Thinking of Gandhi, MLK, and some others, those movements had single main figureheads that attracted most of the dialogue to that focal point and looked there for guidance and many decisions. Thank you for acknowledging the enlivening process of Occupy Wall Street, and for opening this conversation in NVC terms. Glad to see this post. I too have been following the OWS movement with delight and curiosity. Do look at Eve Ensler's recent post about OWS as art. I walked onto campus (SFSU) today and saw a chalked announcement about a General Assembly on Thursday. Already, the democratic and participatory methods in use at OWS are being absorbed and disseminated. I am heartened by the creativity, spontaneity, resolve, and courage shown by the growing number of participants and supporters of the OWS demonstration.